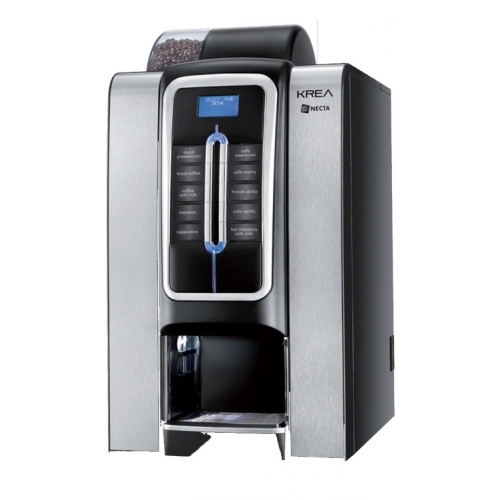 The CF2000 hot drinks machine is the ideal choice for the smaller company whoe require an automatically controlled drinks machine whilst not compromising on any features. Installed with the minimum of inconvenience and easily tailored to individual sites, this machine is a welcome addition to a wide variety of locations. - Compact, semi automatic machine offers choice of 5 selections with a total capacity of 195 in cup drinks. - Attractive, bow shaped machine suitable for any location. - Indicator lights guide user through every step of making their chosen drink. - Electronically controlled internal sugar dispenser, available for either pre packed bottle or refillable jar. - Machine can be set for Free Vend or fitted with full electronic coin mech, accepting all coins. - Universal water tank can be either hand filled or easily connected to mains water supply. - Full digital display allows all audit details to be stored electronically. - Incredibly user friendly counter top machine - simple to use - simple to operate. - Cups 73mm - Tea/Coffee/Soup/Hot Chocolate etc. Cost of less than 24c per cup. - Lifetime Technical Support on ALL machines.